Careme’s incredible good fortune, some might say “destiny”, began with the doorstep on which he landed. It belonged to a Monsieur Sylvain Bailly, a famous patissier, with a shop near the Palais Royal, who gave the nine year old Careme bed and board in exchange for general kitchen work. More than just a kind soul, Sylvain Bailly, was in, fact, Careme’s first mentor. Encouraging his young helper to advance and learn. This combination of encouragement and Careme’s talent, culminated in the opening of Careme’s own pastry shop – at the ripe old age of eighteen. 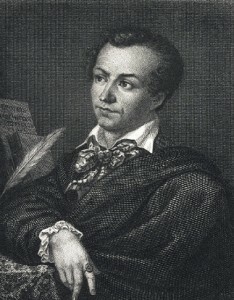 On his own, Antonin Careme was “on a roll”. 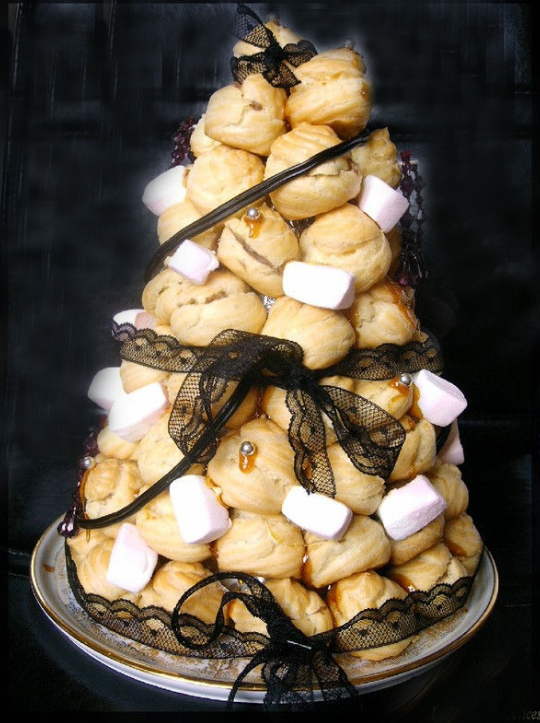 Owing to the fact that pastry, particularly innovative creations, were Paris’ flavour of the moment. And Careme’s creations were innovation on steroids. In fact, Careme was essentially a sculptor, using icing sugar, nougat and marizan as his materials. Inspired by architecture and famous monuments, Careme created and re-created pyramids, helmets, and waterfalls. Never intending that that they should be actually be eaten. Careme’s talent and accomplishments had come to the attention of the man who would become his second, last, and most influential mentor. Prince Tallyrand. The consummate diplomat who survived all that era’s political upheavals. Tallyrand was, or at least considered himself to be, a gourmet. He invited Careme to be his Chef. On the condition that he prepare a year’s worth of menu’s without repeating himself. 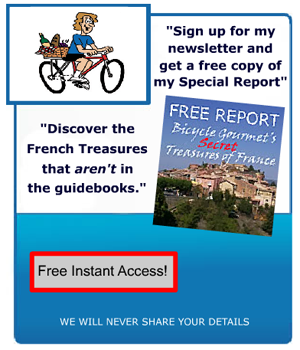 Dare I say – “a piece of cake” for Monsieur C? His association with Tallyrand elevated Careme to the highest strata of European Society and Royalty. After Napolean met his Waterloo, Careme decamped for England, where he cooked for the Prince Regent. Later to become King George the Fourth. His culinary carousel continued with an invitation to St. Petersburg. (The one in Russia folks.) Although, for whatever reason, he never actually got to cook for the Tsar. (Preparing for the next revolution?) So – back to Paris. Firing up his stove for banker J.M. Rothschild. 1.His book on pastry – Le Patissier Royal Parisien. Only the third book of that time to be devoted exclusively to the patissier’s art. And the first one to have extensive engraved plates. Careme’s designs for these engravings resemble more elaborate architectural constructions, than pictures of food. 2.His book on Cuisine – L’art de la Cuisine Francaise au XIXe siecle. Here he extends his wild, wacky, weird, and way out imagination to the preparation and presentation of meat, poulty and seafood. But, he also did some more serious stuff – like giving future chefs the ability to create an almost unlimited variety of dishes by utilizing a series of basic prepartions Careme developed. He also classified all sauces into groups, based on four main sauces. Careme is credited with ending the practice of serving all the dishes at once(“Service a la Francaise”), and replacing it with the one we know today. (“Service a la Russe”) Where the grub arrives in the order on the menu. Careme also gets a “tip o’ the hat” for inventing it. 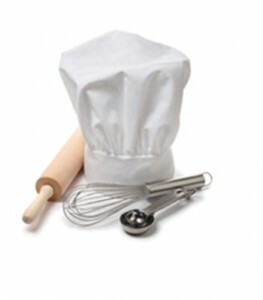 The chef’s hat(toque) that is. Sorry to say – no happy ending for Antonin Careme. After blazing across the culinary heavens, rubbing shoulders with the high and the mighty of nineteenth century Europe, and leaving an enduring legacy – he joined his pal La Varenne at that big stove in the sky – at the tender age of forty eight. Fascinating post! Equally fascinating life, even without all his accomplishments. Careme seemed to have a knack for being in the right place at the right time…..but, oviously he did have the talent too. This guy was really a house on fire!….not only the pastry….but the cuisine too…….and all with a great imagination and sense of humor. I have to agree with the other reader who said that basically Careme was “on the right corner at the right time” – but with his talent and ideas, I’m sure he would have done fine even without Tallyrand’s help. I’ve always wondered where those “over the top” wedding cakes came from. Now I know! sounds like careme would have been an interesting guy to have a meal with. to say the least! very engrossing post – but I’m left wondering how/why Careme died at such a young age? Responding to the reader who was wanting to know how and or why Careme died so young…I don’t have the answers……but I did find out that he died in Germany. But no explanation of the circumstances. Don’t have an answer for your (and Neil Young’s question – “better to burn out than fade away”! 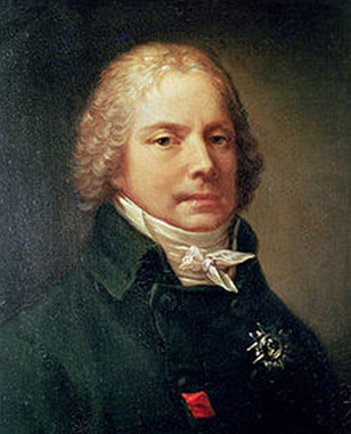 – but, as other readers, I am understandably curious about how Careme came to die so young, and in Germany. amazing to know that one man could accomplish so much, and from such challenging circumstances. Very captivating. As a chef I can tell you that Careme’s organization of sauces, as you have mentioned, is one of the most practical innovations in all of French Cuisine. Wonder if Careme’s “career path” would have been the same if he had been taken in by someone who was’nt a patissier? Careme the lawyer? 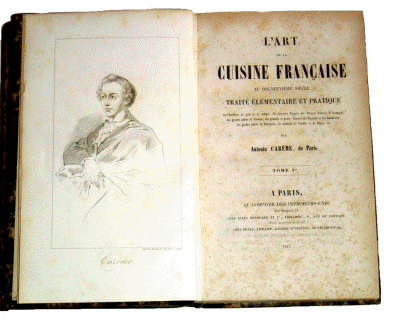 Being a french cooking enthusiast, I was aware of the four “Mother Sauces” of French Cuisine,..but not that they were created by Careme. Boggles the mind to think that other supposedly “complete” receipie books leave this out! i’m no expert of french cuisine…but..i get the impression it’s rare for a chef to excell at both pastry and cuisine? hard to imagine all the food arriving at once! we have the “service russe”, along with all his other innovations to thank Careme for. 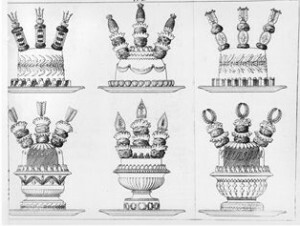 Careme’s designs, and your picture of the “tower cake” make me think that if Careme were alive today, he would certainly have another career as a “performance artist.” His “installations” have already been developed! Had no idea this guy even existed! – many thanks for bringing me up to speed! Humbling for us mere mortals to contemplate what Careme accomplished in 48 years. Especially considering how he started. i’ve been subscribed to your RSS feed since you started…..now there are only two other blogs that i read regularly. just want you to know how much i appreciate your efforts. keep up the high quality. Will you be extending or expanding on this series to include some of the contemporary “bright lights” on the French Cuisine scene? Most enjoyable. Looking forward to the rest. I never realized there was so much History involved with French cooking. Thanks to you, i’ve started to dig deeper into Careme and La Varenne. Another quality post! – not a complaint, but would have been nice to see some photos of Careme’s meat and poultry creations. From my travels in Vienna,and visiting many pasty shops(in the interests of science, of course!) it’s obvious that Careme’s influence was not just on French Cuisine. As anyone made a movie about Careme? Seems like a total “no brainer” to me!